Bowe (Boudewijn de Jong) was born in 1978 and started playing the piano at a very young age. When he was a teenager, the piano was replaced by a guitar. Because he disliked music lessons he decided to teach himself how to play. To do so, he picked up a guitar from a right handed friend and tried to strum his first chords. For Bowe this didn’t feel right at all, so he simply turned the instrument around and learned how to play upside down. Later he found out that this way of playing has both advantages and disadvantages. He decided to benefit as much as possible from the advantages and take the disadvantages for granted. His playing style has led to a unique approach to writing songs. Moving through the Night was his debut album which was released in 2009. Most of the songs were written by Bowe, but Ton Snijders and George Konings also contributed to the writing process. Bowe was influenced by a wide variety of artists such as The Rolling Stones and Crowded House. His writing partnership with Ton Snijders led to a pop oriented album with both up-tempo songs and some ballads. Moving through the Night also features George Konings, Charles Nagtzaam, Florian Hoefnagels, Danny Samar, Katell Xevalier, Willem Mulock and Erik Verhoef. The album was recorded at the Sound Vision Studios in The Netherlands and was produced by George Konings, who has also worked with The Simple Minds. His second album Nomansland was released in 2013. The album features twelve original tracks which were written by Bowe and his writing companion Ton Snijders and two monoPunk remixes. Its predecessor ‘Moving through the Night’ got very positive reviews in The Netherlands. Leading radio DJ Frits Spits called it a remarkably good debut and website Musicfrom.nl described it as ‘John Mayer meets The Eagles’. Nomansland features special guest performances by Sandra St. Victor (The Family Stand and Prince) and Tollak Ollestad (Don Henley, Seal). Also many Dutch artists contributed such as Arnold van Dongen (Ilse DeLange), Jan Kooper (Doe Maar), Florian Hoefnagels, Danny Samar and Thijs van Leer. All tracks were recorded at the Sound Vision Studios in Arnhem. Zlaya Hadzich mastered the album in Amsterdam. The Bowe touring band consists of various combinations of musicians as most members are active in several other projects. Bowe Has performed live with different musicians on Radio 1, Radio 2 and 3FM. 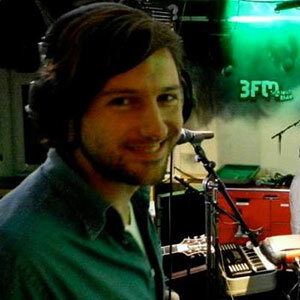 His track ‘Tired of giving good things up (monoPunk remix) was awarded Freakandel Special on 3FM by Rob Stenders and Sander Hoogendoorn. Giel Beelen invited Bowe for his morning show in 2014 where Bowe played 2 songs including the second single Pretty Plain. In 2016 Bowe has released the track ‘Relax Relax Relax’ that was used for a commercial on Dutch TV and radio. In 2017 the first single ‘Feel the Fire’ and its successor Sing for Love were released. Sing for love was DJ choice on NPO Radio 2. Also ‘Release me’ came out, which is an acoustic track. In 2018 Bowe started working with Dutch producer Kevin Patrick. The first track that was released is Rum Cola, the first Bowe song in Dutch. Right now Bowe is working on more new material.